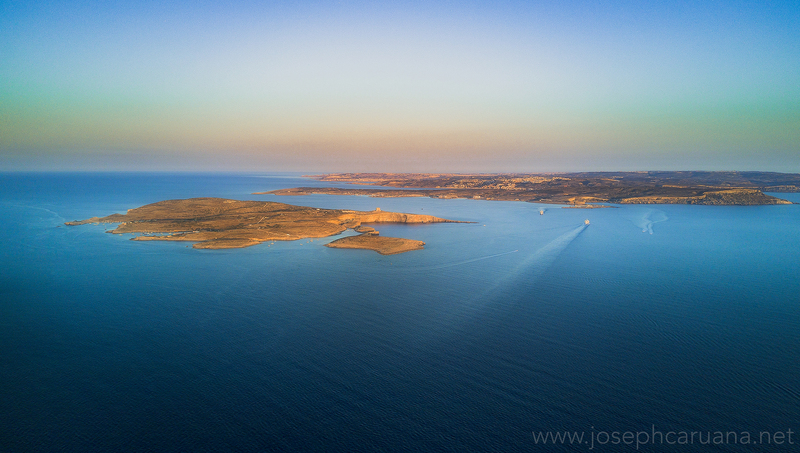 Flying the drone at the golden hour is a truly breathtaking experience. This was a shot that I had been meaning to take for a while; finally I had a good opportunity as a sailing boat also featured in the background. 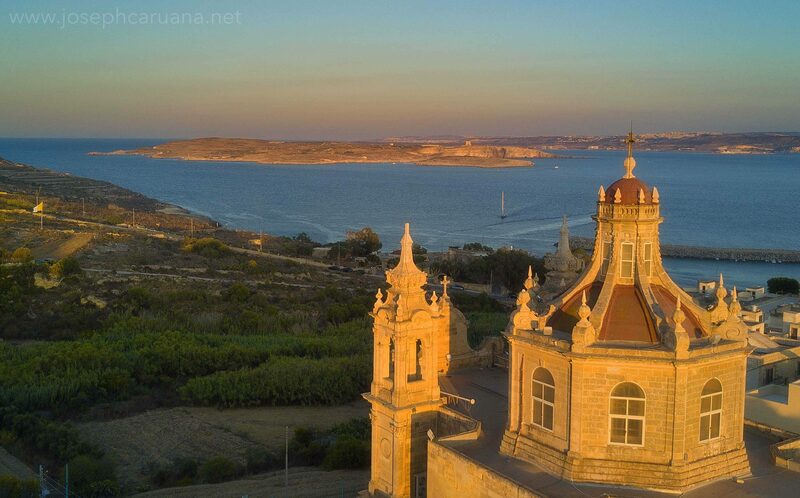 Comino from the air in evening light.